Once upon a time, 165 million years ago, there lived a spider who looked like a pelican. 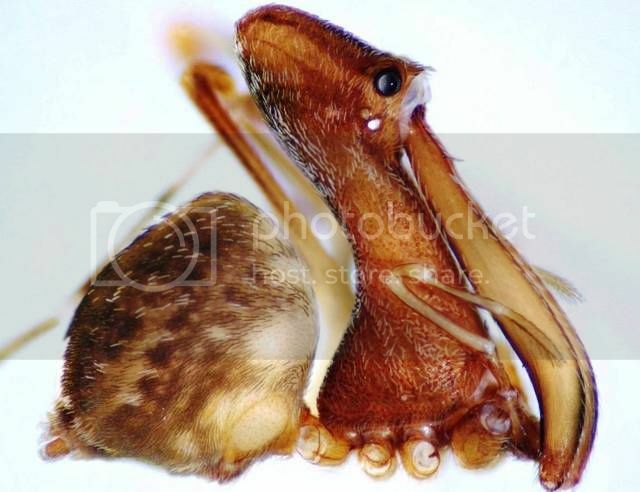 About the size of a grain of rice and just as quiet, the pelican spider tiptoed under foliage in the leafy parts of the world, looking for prey to impale with the fanged, beak-like pincers at the end of its long neck. Its favorite meal: other spiders. The happy ending to this tale (for arachnophiles, at least) is that pelican spiders still exist today — and in much greater variety than biologists previously thought. According to a new paper published today (Jan. 11) in the journal ZooKeys, there are at least 26 known species of pelican spiders (family name Archaeidae) still creeping around Madagascar and South Africa alone, 18 of which have never been described before. "I think there's going to be a lot more species that haven't yet been described or documented," Hannah Wood, curator of arachnids and myriapods at the Smithsonian Institution's National Museum of Natural History and author of the study, said in a statement. After years of collecting pelican spiders from Madagascar and studying them in museum collections, Wood and colleague Nikolaj Scharff of the University of Copenhagenin Denmark described the bizarre hunters in unprecedented detail. How the pelican spider got its name is no mystery. When not hunting, the spider often folds its fanged pincers, called chelicerae, down against the long, neck-like appendage connecting the arachnid's head to its body. As a result, the pelican spider looks more like a bird than a spider in profile. Unlike a bird, however, the spider's mouth is situated at the bottom of its neck, putting the opening at perfect range to feast on whatever the spider manages to catch on the tips of its chelicerae. 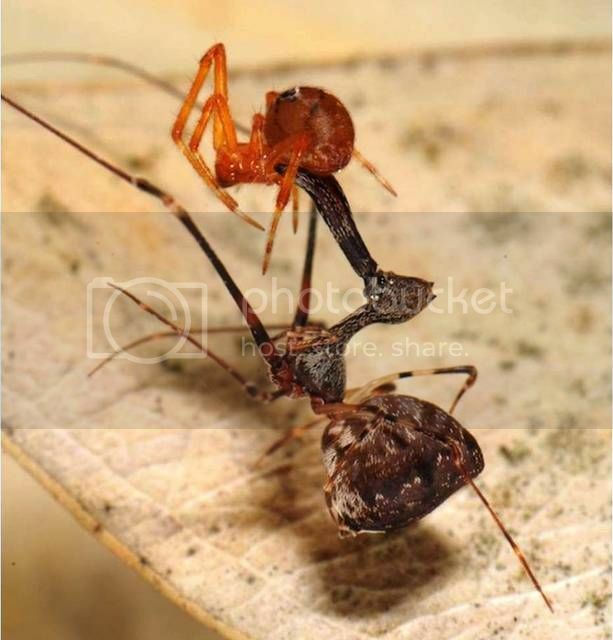 Pelican spiders are active hunters, the paper said. Rather than spinning their own webs, they prefer to stalk the trails of silk left behind by other spiders scuttling around their leafy habitats. At night, pelican spiders follow these silky bread crumbs, moving slowly and often upside down through the leaves. While the spider's back six legs do the walking, their front two legs sweep through the air, feeling for prey. After finally reaching the edge of another spider's web, pelican spiders can wait for hours for the right time to strike (earning them the moniker "assassin spiders"). Then, they strike with deadly efficiency. The spiders swing their chelicerae away from their bodies in a rapid, 90-degree arc tojab the pincers into their prey. Thanks to the spider's long necks and pincers, they keep their prey held harmlessly at arm's length while deadly venom pumps through the predators' chelicerae and into their victims. "Then," Wood told Science News in 2014, following publication of a previous pelican spider study, "they pull out one chelicera and leave the other one hanging out there with the spider prey impaled on it." Feasting follows. Pelican spiders are unusual, even by arachnid standards, the statement said, but their methods are time-tested. Wood calls today's pelican spiders "living fossils," as the arachnids appear remarkably similar to species preserved in the fossil record dating back up to 165 million years. Most modern specimens of pelican spiders have been collected from Madagascar, South Africa and Australia. This wide distribution suggests the species' arachnid ancestors once lived on the supercontinent Pangaea before it began breaking apart roughly 200 million years ago.